Last time, we discussed the general info about astral projection, from belief to the desire to the relaxation and to the separation. Here in Part 2, we’re going to discuss the step by step process of astral projection, leading up to the separation phase. There are many various methods to do this, but the list below is a basic set of movements that anyone can try. Let’s get right to it! One thing that can truly help in this part is playing a binaural beats track for astral projection. This is an element that can make the separation phase much easier to perform, so make sure a track is ready to be played once you’re ready to begin. 1.) Lie down on your bed, make sure you’re on your back. Close your eyes, empty the mind, and concentrate on being aware of your body and the sensations it feels. If you are using a binaural beats track for astral projection, play it at this point. 2.) Take long deep breaths, and exhale all the way. No need to hold your breath, just breathe naturally and have a good flow. Relax. Focus on your breathing and nothing else. 3.) Gently stimulate your body’s sensations by flexing your muscles and then relaxing, until physical relaxation is reached. What this does is help loosen the body and not have any tension that can cause you to be distracted. Stay at this stage until you feel the queues for the next steps below. Performing the above steps will soon make the person reach the hypnagogic state, a hypnotic state that the mind and body experiences. It is the threshold of being awake and being asleep, and it is at this crucial moment that the astral body gets ready to separate, and the astral projection can begin. 1.) Focus on a body part, and concentrate on it. Any body part will do, although the common ones are a hand, a foot, even just a finger. The goal is to see this body part in your mind, and to have full awareness of this body part, without being distracted by anything else. It is important to keep this focus. 2.) Will this body part to flex or move, but only in your mind. Resist the temptation to simply move it physically. Remember, we are trying to control the astral body, not the physical one, so it is important to focus on it. If you feel your body moving when you will the body part to move, return to step one and keep visualizing. 3.) Once you are able to will that first body part to move in your mind but not physically, begin making your visualization wider to include the body parts that are surrounding it, willing them to move, until you can see your legs, arms, and head beginning to respond until the whole body can be moved. Remember, focus on the mind, and not the body. Keep at this stage until you feel you are fully aware of your astral body getting ready to separate, and when you are, finish the process by following the last steps. Once you are fully aware of your astral body, it is time to take the final steps. 1.) Eventually, you will feel a tingling or vibrating sensation, which often comes in waves that radiate all over the body. This is an indication of your astral body being ready to separate and move on its own. Do not be afraid of these vibrations, embrace and feel it; fear will influence your experience so don’t let it control you, control your fear. 2.) Step out of your physical body, by willing, in your mind, your body to sit or stand up. 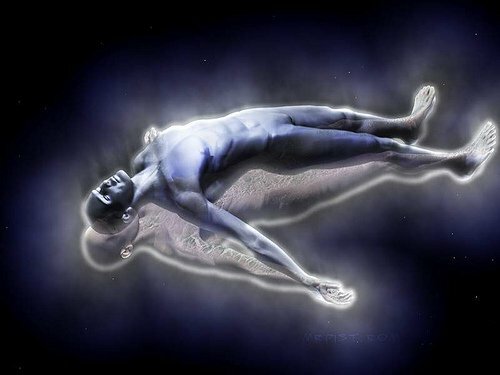 If you are able to turn around and see yourself still lying down in bed, then you have just performed astral projection! This track was reated with multiple binaural beat frequencies that range from 3Hz to 22Hz; these Theta and Alpha waves are associated specifically to deep relaxation, meditation, creativity, lucid dreaming, access to subconscious images, conducive to inner peace, mystical truths, physical and emotional healing, and taps our ESP (extrasensory perception) as it assists for astral projection or an out of body experience. These frequencies also hold sleep spindles that will help you gain a good night's sleep after you travel the astral planes. Don't forget to subscribe to our #YouTube channel at https://www.youtube.com/user/BrainwavePowerMusic for all the #binauralbeats tracks you'll need to unlock your #astralprojection capabilities! Check out these items that will help with your lucid dreaming! The most advanced lucid dreaming supplement today. Join the lucid dream revolution!